At McCulloch-Wilson Dental, we know what a difference feeling confident in your smile can make. If you’re not comfortable saying “Cheese!” there are physical and mental health benefits you could be missing out on. Studies have shown that smiling releases your feel-good neurotransmitters: dopamine, endorphins, and serotonin, which can boost your immune system and even extend your life. If a cosmetic dental treatment is all that stands between you and improved health and happiness, we think you’re more than worth it! There are similarities and crossover benefits in restorative, cosmetic, and sometimes even orthodontic services, and smile design is a great example of this. For example, correcting overcrowding or crooked teeth with veneers can strengthen your teeth and correct small misalignment issues, which can dramatically improve not just your smile’s appearance, but pressure on your TMJ (temporomandibular joint). Smile design is essentially the cosmetic form of full mouth rehabilitation. Wherever you’re starting from, we can create a plan that helps you obtain the dazzling smile you’ve wished for. Veneers were originally created to make celebrity smiles gleam on camera. They weren’t strong or long-lasting in the beginning, but now they can be a permanent solution whether or not you’re starring in movies! We offer different types of veneers in our practice so that your treatment plan can be customized according to your needs and goals. We don’t know many people that would pass on the offer to obtain a whiter, brighter smile. It’s an incredibly common desire, as evidenced by the many products with “whitening” on their labels in just about every grocery store in the nation. Some of these toothpastes, strips, mouthwashes, and even toothbrushes may lighten some accumulated stains from your teeth, but for the best results and a much lower incidence of lingering tooth sensitivity, we recommend coming to us for a professional treatment. If your teeth have been stained by medication or you have bonding, crowns, or veneers, your whitening treatment will need more customization. We offer both in-office treatments and take-home kits that provide results you’ll be thrilled with. 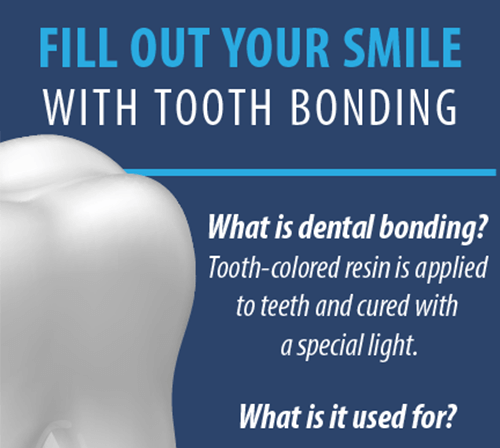 Bonding is a very popular cosmetic dental solution for several reasons: it’s quick, painless, requires very little (if any) preparation of your teeth, and it’s an affordable way to fix a number of things that decrease confidence in your smile. The procedure consists of molding a composite resin to the surface of your teeth to create the appearance you want, then hardening it with a light to make it strong enough to last a while—however, this fix won’t last forever. 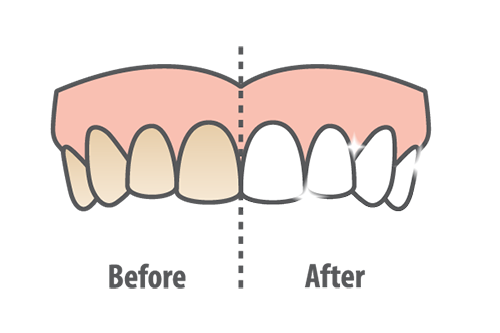 It’s a good intermediate solution to consider if you’re not ready for veneers or crowns. If you’re not as confident in your smile as you could be because of uneven gum tissue or gums that cover more of your crown than you’d like, contouring is a procedure to consider. With the assistance of a topical anesthetic, we can reshape your gums to reveal a toothier grin. Your gums are resilient and will heal relatively quickly, but you’ll want to eat soft foods and brush more gently during your recovery period. We’d Love to Help You Boost Your Confidence! If you have any questions about our cosmetic dentistry services or would like to schedule a consultation with your Katy cosmetic dentists, Dr. Wilson and Dr. McCulloch, give us a call today!